Online quiz contest - Play Online Quiz Contest And Earn Money. 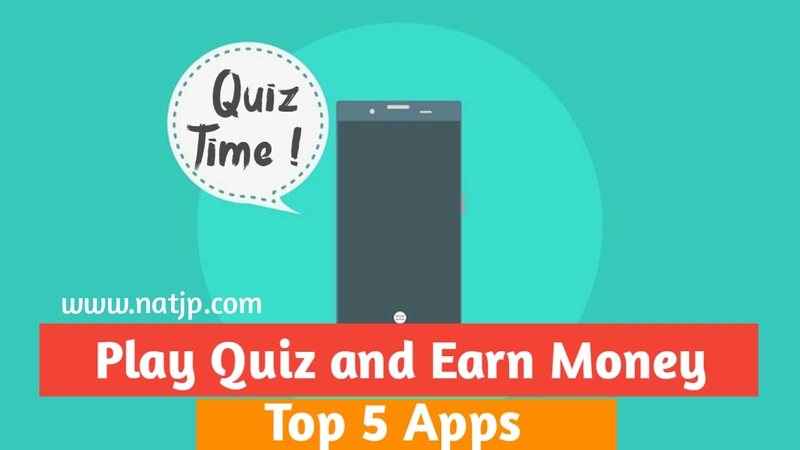 So, Here is the Top 5 apps to make money by playing Online quiz contest. If your General knowledge is so strong. So, you should try your brain by using quiz apps. Here is top 5 quiz app to test your brain. Also, you can earn money by playing online quiz contest. It is a very good idea to Earn some knowledge and some money by playing online quiz contest. You can make money by using this apps. I recommended you to use this apps. LOCO is the most popular Online quiz contest App which gives you money to win every match. • First of all, Download the LOCO app from playstore. • Sign Up with your Paytm Number. • Wait for the Quiz Time. • The Host Ask you Ten Question. Give Answer to all question. • Booyah ! You win paytm cash instantly. The Quiz starts at a particular time. You can play live quiz at 1:30 PM And 10 PM everyday. This app support multiple language, Choose your prefer language and start you Quiz. So, if you are looking for Online quiz contest to earn money you can Play LOCO. Qureka is also a popular Online quiz contest game. You can easily make money by using this app. It is very simple to play Qureka. - Download Qureka app from Playstore. - Sign Up with you Paytm Number. - Play Quiz And Earn Money. Last day of every month a mega quiz is held. It distribute the Grand prize to its user. You can also use 1 life while playing the quiz. To win the life you can play a short quiz lf 3 question only. Really, It is a very good app to earn money by playing online quiz contest. BaaziNow is the most popular online trivia gaming app. You can win money by playing online quiz contest by POLL Baazi, Brain Baazi and Bingo Baazi. This app is similar to LOCO & Qureka. Download the BaaziNow App from Playstore. Sign up with your Paytm Or Mobiwik Number. Play quiz and start making money. You can payout your winning amount by Paytm or Mobiwik Wallet. You can Play live games at 8:30 PM, 1:00 PM, 9:00 PM, 4:30 And 3:00 PM. Play live quiz in BaaziNow and earn money and reddem it to Paytm or Mobiwik Wallet. Go Millionaire is also a very popular Quiz app to make money online. You can play quiz in differtent topics like Bollywood, Sports etc. Downloaad the Go Millionaire app from Google playstore. Open the app and Sign up with your phone number and start winning cash from Go Millionaire app. You will win 70 Rs. For every successful refer by Refer and earn program. You can play quiz live at 1:00 PM And 10 PM. You can bind your paytm account for instant redeem winning amount. It is a very good online quiz contest game. If you are looking for quiz games similar to LOCO, you can try this app. TopQuiz is a very popular quiz game. You can play this game 24 * 7 at any time, you don't need to wait for a specific time. Just download TopQuiz app from playstore. Sign up with your paytm number. Play games on your favourite topic like cricket, bollywood, logos etc. You will earn point for every correct answer which you can redeem for your paytm cash.